Brooks is the living legacy of Jimi Brooks, a visionary Portland native who came to wine through his passion for history and philosophy. After traveling the world and experiencing the hard work of winemaking in Beaujolais, Jimi returned to Oregon and found a burgeoning wine world. He devoted the rest of his life to holistic farming and winemaking in the Willamette Valley, showcasing the region's potential for expressive, complex and balanced Riesling and Pinot Noir. While Jimi is no longer with us, his strong commitment to biodynamic farming, his gentle approach to winemaking and his excitement for the Willamette Valley terroir live on through our wines and our team. Jimi's son Pascal is the sole owner of the winery; Jimi's sister Janie Brooks Heuck has volunteered her time to lead it; and Jimi's longtime friend and winemaking accomplice, Chris Williams, continues to make Brooks' wines. Brooks farms twenty acres in the Eola-Amity Hills, a sub-region of the Willamette Valley characterized by higher altitudes and the ocean winds that blow through the Van Duzer Corridor. Employing biodynamic farming practices since 2002, we are proactively reintroducing native plants in our insectary and medicinal herb gardens for our biodynamic preparations and compost teas. In addition to our estate vineyard, winemaker Chris Williams works with a number of family growers throughout the region and in the Columbia Gorge, respecting the individuality of each site and showcasing the strengths of each vineyard through masterful blending. 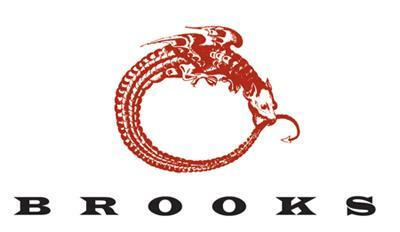 There have been many milestones since Brooks was founded in 1998. In 2008, we expanded our winemaking operations and purchased the 20-acre vineyard Jimi started farming in 2002. In 2012, we obtained Biodynamic certification from Demeter. In 2014, we opened a new winery and tasting room. Our welcoming tasting room, with its ample seating and wine bar, overlooks the Cascade Range and the Willamette Valley floor, perfect for gatherings with friends and family–a fitting reflection of Jimi's vision. "In Roman mythology, Janus is the God representing balance for new beginnings and endings, the future and the past, and the connecting doorways. Janus is our flagship. It possesses the richest, most vibrant and intense blend that we produce. This wine is the ultimate expression of Pinot Noir!"